Reality TV star Kim Kardashian spent her July 4 in fiancée Kris Humphries’ hometown in Minnesota. Their weekend was what you would call “ol’ Midwestern fun”., Us Weekly reports. 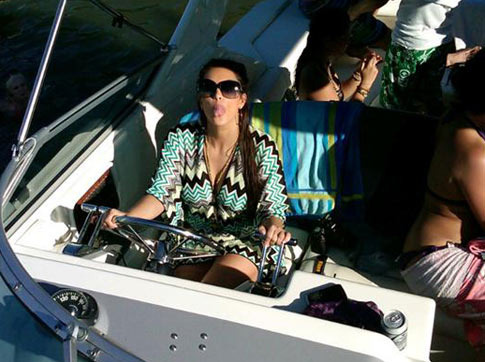 Kris and Kim has fun this weekend, celebrating the 4th of July on lake Minnesota. They took pictures and uploaded them on their Twitter pages, spicing the up with some funny comments. After the next day, the couple had lunch at Hazellewood Grill in Tonka Bay, Minn. Kim and Kris had a full weekend, but nothing to complain about it. Had a great weekend Humphries posted on his Twitter page at the end of the Minnesota adventure.